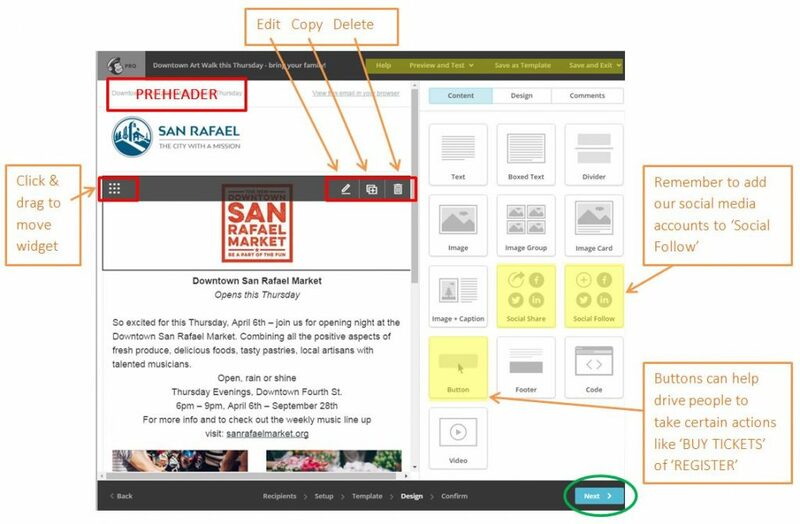 Promote your event or meeting to the public via social media, the City Manager newsletter 'Snapshot,' the City's website, and email notifications. If your department or division does not have a social media account, provide a short and compelling description, link to more information and an image to Rebecca. For Nextdoor posts, please provide full URLs and no hyperlinked text. For Twitter, please craft your message within 140 characters. The City has a general account as well as Public Works, the Library, community centers, Police and Fire departments. For Instagram, please provide a square image and a very brief caption. The key information should be within the image. Provide the City Manager's with a short and compelling description, including a link to more information. Snapshot is sent on Thursdays prior to City Council meetings, which are held 1st & 3rd Mondays. Please submit your post to the City Manager's office by the Wednesday before it's published. 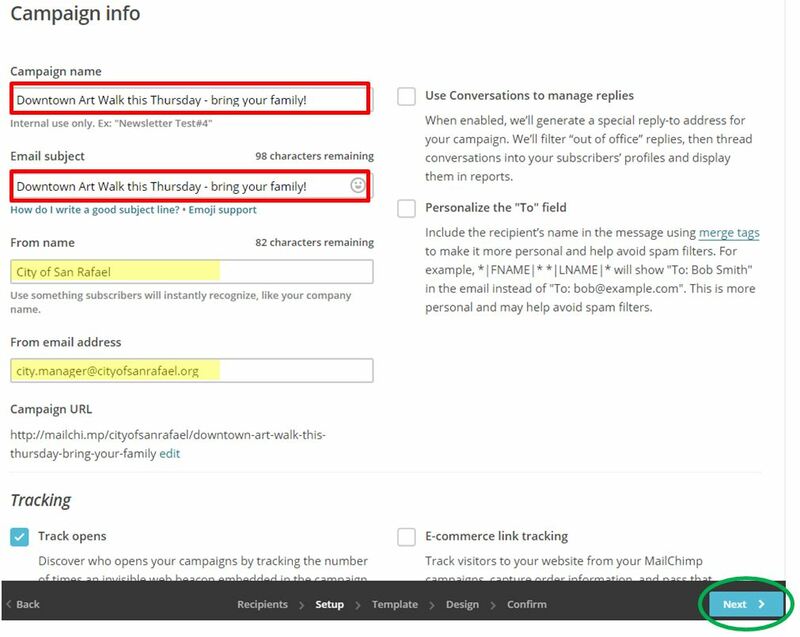 Step 1: Login at https://mailchimp.com/ and click ‘Campaigns’ in the top left. Step 2: Find a previous campaign for an event and select ‘Replicate’ from the menu on the right. For a community event, use the 'Events & Things to Do' list. For other audiences, contact Rebecca to determine which list is the most appropriate. Step 3: Confirm the correct group is selected and click Next in the bottom right corner. Step 4: Create a campaign name and subject line for the email. You can also modify the From Name and email address if you want or you can use the default. When you’re done, click ‘Next’ on the bottom right. Always remember to use a preheader at the top of the campaign. 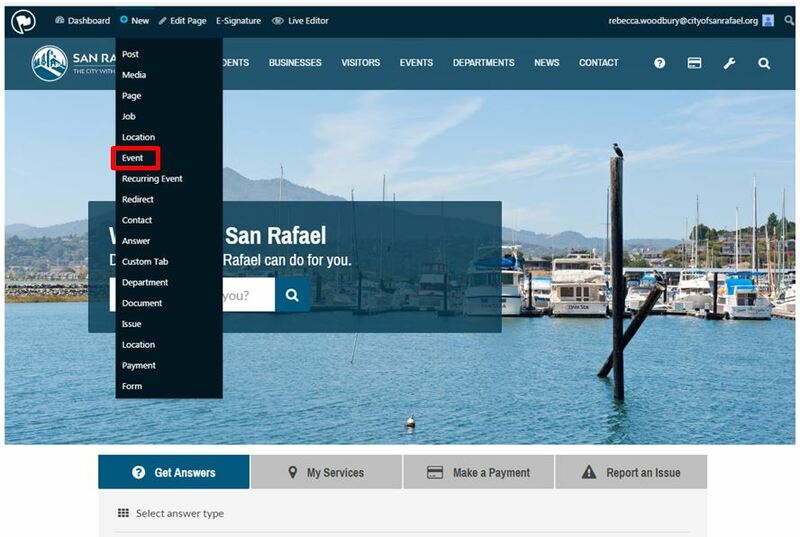 Double-check the footer to make sure the Contact Us info is up-to-date. Add ‘Social Share’ widgets to people can share the message on their social media accounts and use the ‘Social Follow’ widget to direct people to our social media accounts. When using ‘Social Follow’ remember to edit and direct them to our accounts. Preview or send yourself (and others) a test email by selecting ‘Preview and Test’ from the top banner. It’s very important to check that your campaign looks good on a mobile device (that’s how most people will read it). It’s best to send yourself a test and check on your phone. 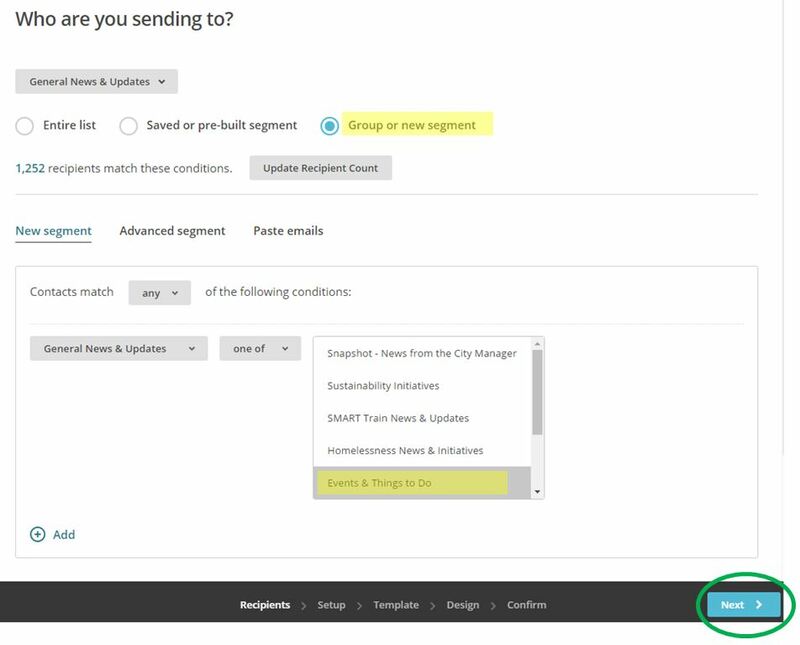 Once you are ready to send, click ‘Next’ on the bottom right. 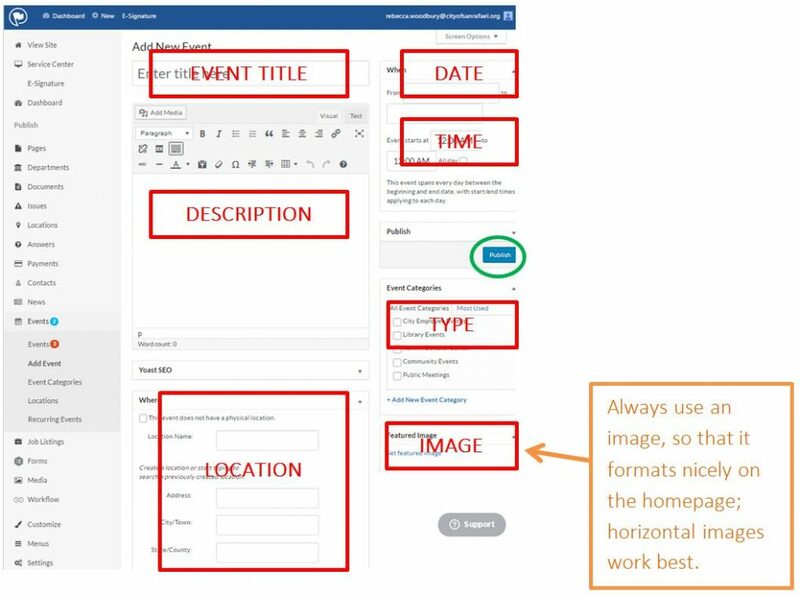 Step 6: In the bottom right corner, click ‘Send’ to send the campaign now or ‘Schedule’ to send the campaign at a later date/time. After the campaign is sent, you can check the analytics by clicking ‘View Report’ in either the Campaign section or Reports section.